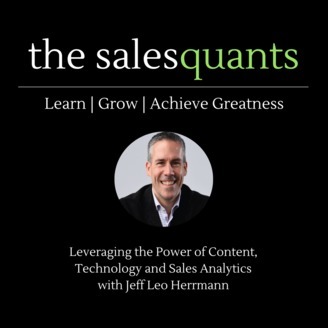 This podcast is the resource innovative Sales and Marketing Leaders use to learn, grow and achieve greatness. 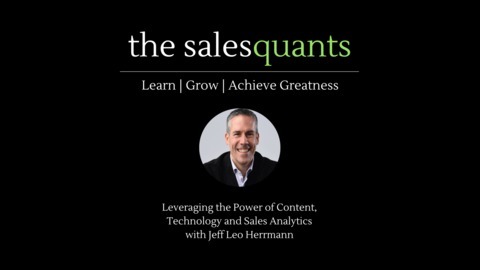 Join us as we drill into methods to leverage the power of content, technology and data to drive sales productivity. We have a special affinity for Video Creators deriving benefit through Social Selling and video marketing. We also drill into Sales Enablement and Automation tools including, but not limited to Salesforce.com, LinkedIn Sales Navigator, Marketo and HubSpot, YouTube, Facebook, Instagram and Twitter. Are you struggling to make the investment case for building your B2B audience? The latest CMI/MarketingProfs research states that 80% of B2B Content Marketers are focused on building an audience. Your audience is bigger than your sales pipeline. Your audience is comprised of your current and future customers. Successful marketers are spending more time today obsessing over their audience, and not their product or service. Once you have an engaged audience, you can continue to build, extend and evolve your products and services in multiple ways. If you’re seeking financial and analytical insights to make the case, please check out the Audience Valuation Engine. You can find out more about it HERE. The post 067: Why Build a B2B Audience and 4 Ways to Value It appeared first on Madison, Michigan & Market.